I spotted this pollyp-like growth on the trunk of a tree in a wood at the bottom of Emmetts Garden. 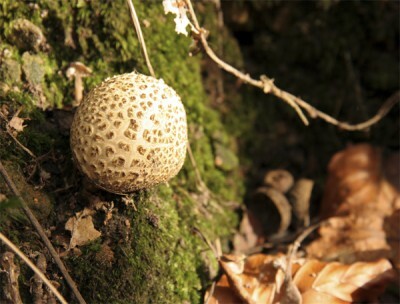 I have no idea what it is, but assume that it some kind of mushroom. Talking of which I have been getting a lot of hits from people looking (on google) for magic mushrooms in Wales, since February this year. 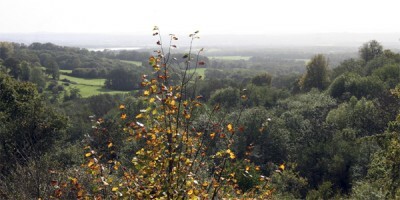 This is the Weald of Kent as viewed on a hazy autumn morning from Emmetts Garden. Click on the photograph to embiggen, or here to see the uncropped original in all its hazy glory with points of interest highlighted. The area was transformed by the 1987 storm [link added by bigblue] and dramatic new vistas opened up, which can be enjoyed from the hilltop tea-garden. Considered an outstanding vintage in Penfolds Rewards of Patience (4th edition, 2000).‘Very good. I like this, it’s just about perfect!’, said Tim White, at the Rewards of Patience tastings in September 1999. ‘Very big-boned and just starting to ease into a long final straight. I suspect this is - will be - a classic,’ said Anthony Rose at the same tasting. Generally good growing season with fine and warm conditions followed by a cool vintage. Another unusual vintage in that the grapes ripened late, but were very full. Tonight Raghs and I went out with Shyam and his crew to the Indian Gymkhana Club in London. It was a good evening out - we first sat in the restaurant/bar, then a function room at the back. I see now that the Indian Gymkhana 1st team hockey play Oxted in the Slazenger England Hockey League Men’s National South Division. One month ago, at the end of September, I spotted shelves of Christmas goodies - decorations and lights - for sale. Unfortunately I didn’t have my camera (or mobile phone) on me because I think this was a personal record for spotting of inappropriately early Christmas marketting. Anyhow it was Eid ul-Fitr, the Islamic holiday at the end of Ramadan this week and I spotted these countdown calendars on sale. This is something I would have thought was inappropriate for a month of fasting: every day you open a window and help yourself to a chocolate. What next? 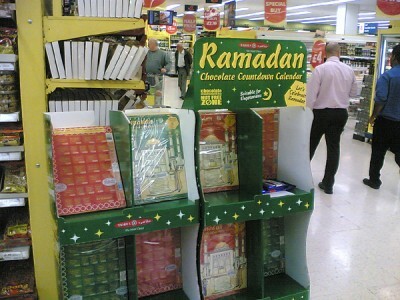 A countdown calendar for Christians to have a choc-a-day while fasting over Lent? 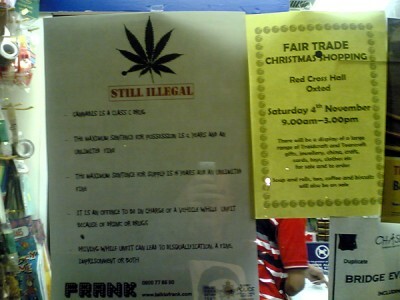 I spotted this poster in the window of a shop in Oxted. It’s a Surrey Police poster, advertising the Talk to Frank website which provides free confidential drugs information and advice. According to Frank’s A to Z of drugs there is no drug beginning with the letter U. Obviously there are, but I guess these ones aren’t taken as recreational drugs. 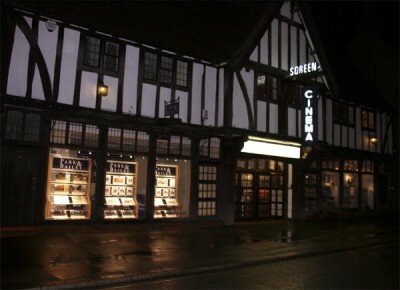 This is my night-shot of the Screen Cinema in Oxted (previously known as The Plaza). It’s really a useful little bug-house: it gets current movies, and although it only has one screen it has a new film every week or so. 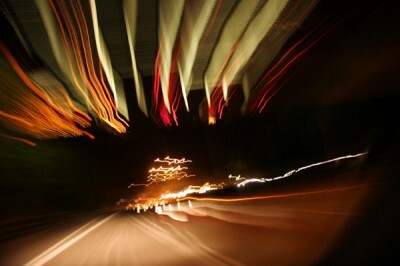 In fact I don’t get there as often as I would like. Compare my photo with that of Loutoo and RogerGW. I spent a bit of time over the weekend browsing through the flickr photo pool of Swaziland and was struck by chancer’s photos of Phophonyane. I remember spending many happy hours here as a child fishing for tadpoles, both in the pools at the top and at the bottom of the falls. 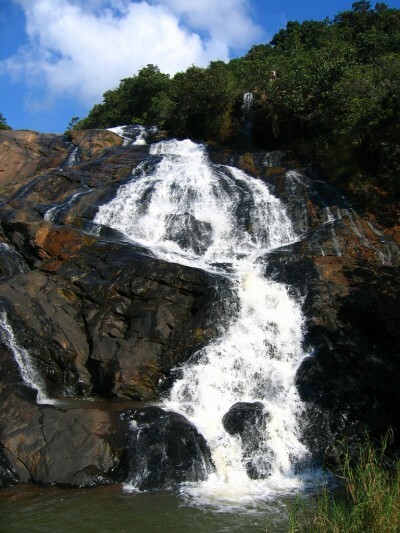 I also recall being responsible for sending some of the tadpoles on the journey from the top pools to the bottom pools. I was also interested in the Execution Rock, which gave me the heebie-jeebies as a young child. I was told that the ground below the rock is littered with old skeletons and bones. Credit: the photo is from Chancer!